His name is Alan. He doesn’t want his whole name or address shared. However, I’m grateful he was willing to share a great glimpse into his hobby past. I read through a sampling of the letters he shared from his hobby heyday of 1998-2006. Gabe Kapler explained how he felt about Jewish jokes from teammates. Pitcher Andrew Lorraine wrote about the challenges of trying to keep an active faith with the rigors of a major league schedule. Hy Cohen, who pitched for the 1955 Cubs, told how “fastballs close to the body” could silence anti-semetic opponents. I am not Jewish. 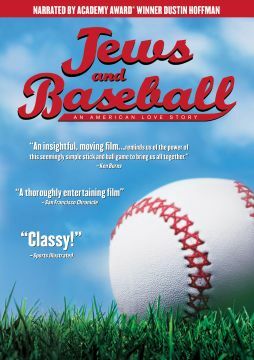 However, I was moved by the recent documentary Jews and Baseball, one that’s becoming a public TV staple every spring. Alan found a way to see current and former players as people, not just as stat machines. These days, Alan has returned to his previous hobby of basketball collecting. However, he understands the power of autographs. Whether it’s one faith, one team, one school or state — there are so many ways to make your collection reflect YOU. You’ll appreciate the hobby more, as will the signers who give you remarkable results.